Over the weekend, I attended a black tie wedding. Being someone who has prided myself on having a variety of options in my closet for such an event, I uncharacteristically found myself at a loss. Usually I can reach into my closet depth and figure something out, but not this time. I'd have an unsuccessful attempt at Rent the Runway in the past, but decided to take a chance for this event and I was not disappointed. Formal dresses can be a bit overwhelming for someone with such a petite stature which I why I opted for a midi-length dress. With the rich jewel tones, it would be perfect for a fun winter party to a more formal event. With the temps being as chilly as it was, I opted to cool it up a bit with a fun leather jacket. Dress if up with some sparkly accessories and you are good to go. 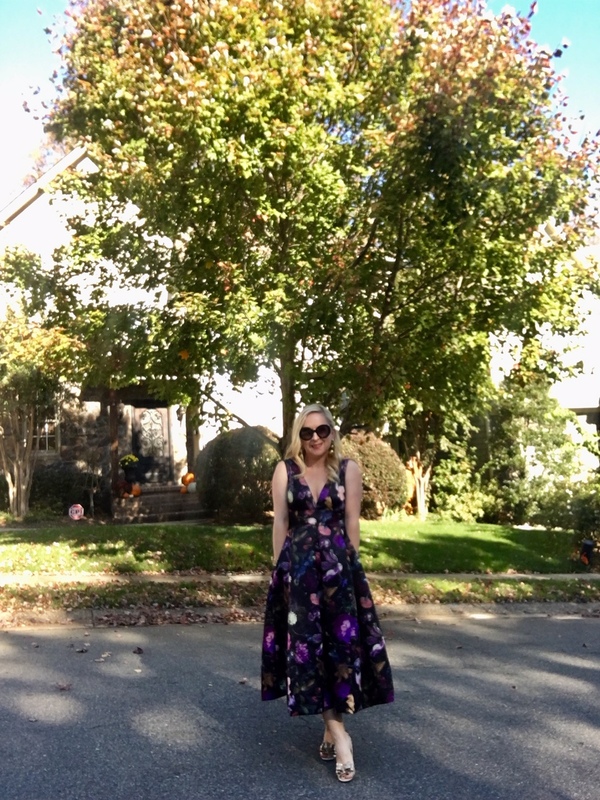 That dress looks beautiful on you and I am a big fan of Rent the Runway! Problem is, I always end up wanting to keep what I rent!